Sadly, I couldn’t watch the card live due to prior commitments, but b all reports it looks to have been a cracking event with some big upsets taking place. Here’s the results and I’d urge you to watch the replay on MMA Junkie on Monday night, cause that’s what I’m going to have to do. It is with great pleasure that we report that the Nevada State Athletic Commission has banned TRT (testosterone replacement therapy) with immediate effect and that the Brazilian commission followed suit, with Dan Henderson’s application for later this month the last to be allowed. The UFC has endorsed the decision, adding that whenever they are acting as the commission in international territories where no official body exists, such as in the UK, they will uphold the prohibition against TRT. This is a massive win for all of MMA. Let us be clear – TRT was cheating, a loophole that allowed fighters to compete while using steroids. It’s a sad fact that you can always find a doctor to sign off that you ‘need’ a treatment that gives you an advantage and this made TRT ripe for abuse. Throw in the fact that you tend to ‘need’ TRT if your testosterone is low, which tends to be caused by advancing age or prior use of steroids and it’s clear that a zero tolerance policy is the only credible option. Sure, low testosterone is going to end your career as a mixed martial artists but all things end. MMA is not about bending the rules to help disadvantaged fighters compete, it’s about being the best you can be WITHIN the rules. Should Nick Newell be allowed a steel robotic arm because he’s missing one? Should JDS be allowed to soccer kick Cain Velasquez as he doesn’t have an answer to his wrestling? Of course not. The question as to whether a fighter with low testosterone is allowed to take steroids should be viewed in the same way and now it is, at least in some regions. 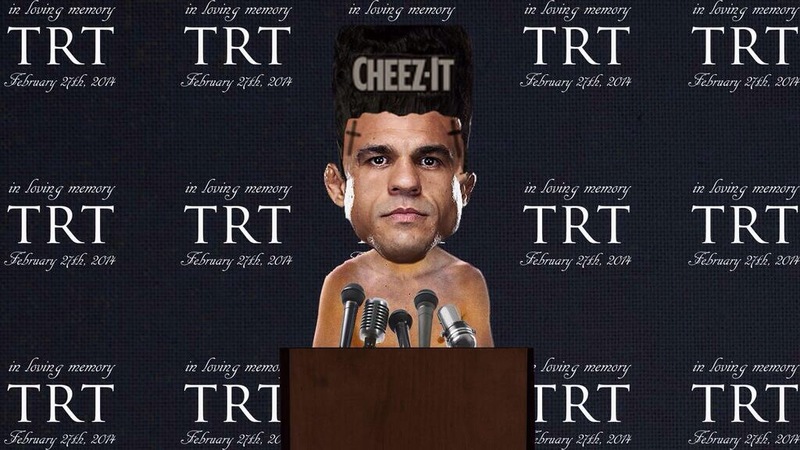 While most commissions have yet to follow suit, NSAC has always been a leader in such issues and while conspiracy theories remain regarding fighters using TRT without a doctor’s note, the fact that Vitor Belfort had been pulled from his main event title shot at UFC 173 and prior test results suppressed to avoid a suspension and allow him to get a title shot in future, this remains a wholly positive step. MMA is about athletes putting work in in the gym, improving their skills and applying gameplans on fight night, not about getting unfair advantages because they have a sick note of dubious standing. Header image stolen shamelessly from Tommy Toe Hold. Check him out on youtube for much MMA based hilarity. 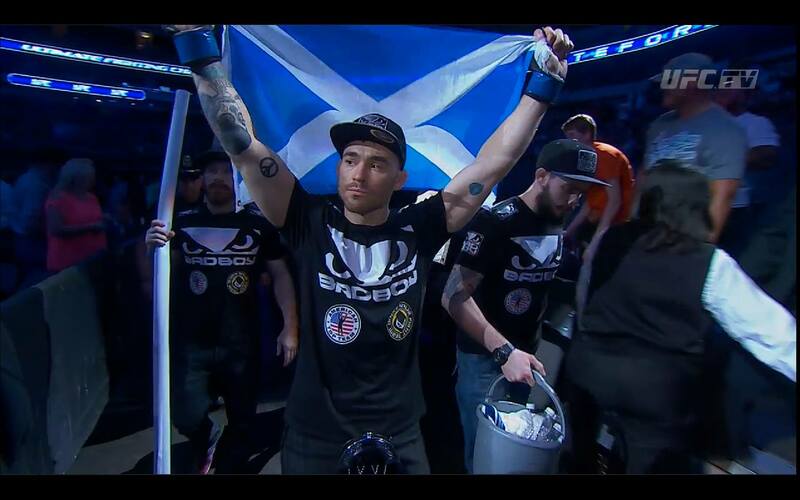 CWFC 66 Headliner Announced… but Who The Hell Is Sergei Churilov? 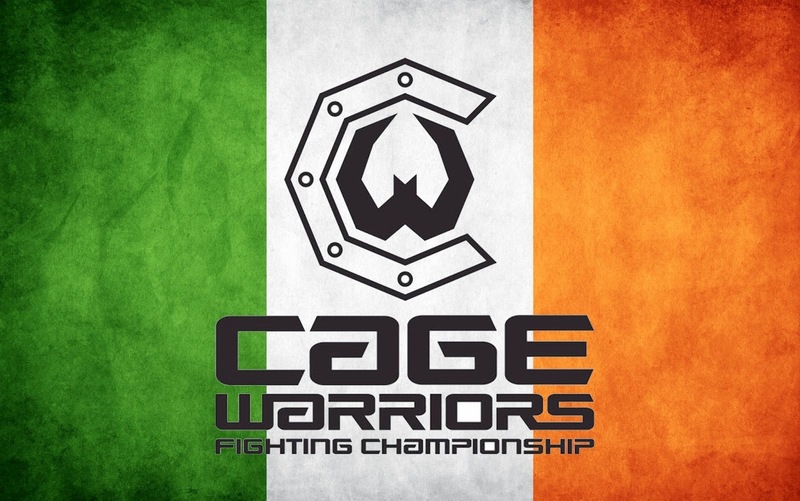 Following Cathal Pendred formally vacating the CWFC welterweight title to move on to the UFC, the promotion has wasted no time and indeed capitalised on the situation by planning to crown a new 170lb champion on their first foray into the Scandinavian market in Copenhagen, Denmark on March 22nd. Competing for the belt will be home hero, Nicolas Dalby (11-0) who seems a great choice, unbeaten and ranked highly (#7 in our January European rankings, #12 in Europe and #64 in the world by FightMatrix) while also having the local angle. His opponent was a new name to me though, as I would have expected an established CWFC talent on a streak (off the top of my head, Danny Roberts, Jack Mason, Gael Grimaud and Matt Inman spring to mind) to get the call. That said, while I watch a LOT of MMA and read about a whole lot more, I doubtless process a mere fraction of what Ian Dean does, so with my faith in the booker man as strong as ever, I have to ask? Who the hell is Sergei Churilov? Churilov (15-1) hails from the Ukraine and currently sits on a five match unbeaten streak, all comprising of submission victories. A quick Sherdog search tells me that he’s actually competed in CWFC before, on the undercard of CWFC46 in Ukraine (a card which I remember watching and it being pretty memorable but not recalling Churilov. I’m only human, after all…) where he earned a first round submission win over Anatoly Starodubstev. Going 7-1 since then, with only one fight going the distance (indeed only 3 fights in his sixteen fight career have) Churilov is in form and clearly a very dangerous competitor. His relatively low ranking (#89 in Europe, #343 in the World according to FightMatrix) can possibly be attributed to the relative unknowns he’s been fighting in Ukraine and it’s worth noting that Dalby hasn’t fought outside Denmark at all., while Churilov has two outings abroad, both in Slovenia for WFC, going 1-1. Both men are well rounded finishers who have excelled in their regional scenes but with home advantage and more experience of going the distance, Dalby should be a strong favourite here. That said, there are two things I say a lot, because they keep being true. Don’t doubt Ian Dean’s matchmaking and never underestimate a former Soviet-bloc fighter just because you don’t know his name.